Intel announced the latest version of the Thunderbolt ie Thunderbolt 2.0 that supports data transfer speeds up to 20 Gbps (Gigabits per second). At the National Association of Broadcasters (NAB) 2013 which occasions in Las Vegas, USA, maker of Thunderbolt that is Intel which introduced its newest version of the Intel ie Thunderbolt 2.0. Innovation is claimed capable of delivering data transfer rates up to 20 Gbps in both directions (full duplex) where the previous version only reached 10 Gbps, as reported by Engadget, Tuesday. 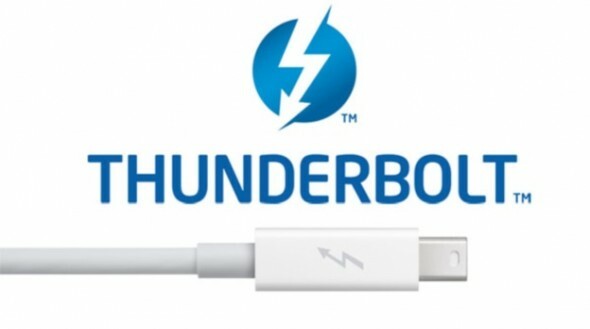 Further, the Thunderbolt technology 2.0 will be present on the market in the next few months, reportedly has been offered up to 200 licenses and predicted it will still grow. At the launch, Intel also introduced the Thunderbolt host controller whose code Redwood Ridge. The Manager will be integrated with the processor core, the fourth generation will be present. With his Thunderbolt 2.0 is claimed capable of doing 4k resolution video streaming simultaneously. Production of Thunderbolt 2.0 planned completion in 2014. This is evidenced by the demo done by Intel, which Thunderbolt 2.0 success to transfer data at a speed of 1.2 Gbps. Related to "Thunderbolt 2.0 the Speed Translucent 20 Gbps"